(Natural News) Sugar-free diets advise individuals to skip certain fruits, sweeteners, sweets, and table sugar/sucrose. Other diets even suggest minimizing the dairy products that you consume. While its true that consuming too much sugar can cause obesity and increase the risk of heart disease, some cancers, and Type 2 diabetes, eating healthy doesn’t mean cutting out all the sugar from your diet. The sugar-free diet is restrictive. This diet requires you to follow certain rules such as eating items from a list of “allowed” foods (like blueberries, grapefruits, and whole grains) and “not allowed” foods (like bananas, raisins, and white bread). It even promotes a diet mentality, with dieters often worrying about accidentally consuming things from the not allowed foods list. Individuals who think too much about the food they consume have a higher chance of dieting out of fear, which can be caused by their concern about their weight, or how certain nutrients can affect their health. Dieting is also stressful, which makes the body release stress hormones like cortisol that may cause the body to store fat, especially in the abdominal area. These worries about food may cause anxiety and depression. Diets also advise people to avoid certain fruits, followed by the re-introduction of a handful of expensive fruits deemed “healthy” (e.g., berries) while skipping the cheaper “unhealthy” fruits like bananas. Whole fruit is rich in antioxidants, essential vitamins, fiber, and minerals. Two servings of fruit daily can help lower the risk of developing some cancers, heart disease, and Type 2 diabetes. People who don’t consume the recommended two servings of fruit per day may suffer from sugar-free diets since restricted fruit consumption means individuals will miss out on these benefits. Dieters also avoid plain dairy products (e.g., cheese, milk, and yogurt) because they believe that dairy contains sugars. The sugar in plain dairy products is the natural lactose (a carbohydrate). Skipping dairy can increase the risk of osteoporosis if you don’t consume calcium from other sources. Several sugar-free recipes use expensive sugar alternatives like dates and rice malt syrup, which have a low fructose content. But these alternatives have the same number of calories per gram, like other sugar. Those who believe that food with these alternatives is “sugar-free” may also gain weight. For example, people often eat up to 35 percent more food that is believed to be healthy, ultimately increasing their overall calorie intake. Instead of cutting out sugar from your diet, eat healthier foods instead. Go for beans, fruits and vegetables (like legumes), and whole grains. 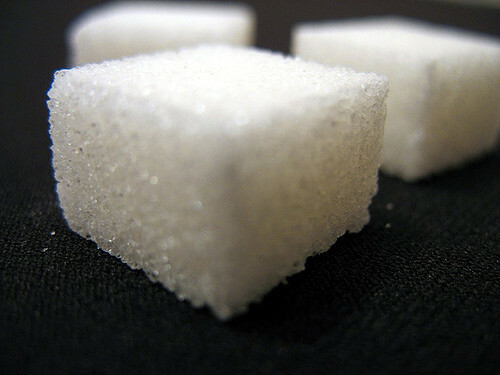 Eating healthy doesn’t mean avoiding sugar altogether. Enjoy the occasional slice of cake and savor every bite so your brain registers each mouthful. This can prevent constant food cravings. What we eat and how much we weigh are not the only markers of health. Prioritizing our psychological health and our relationship with food is just as important. Agave nectar – The agave plant is a natural source of sugar. Apples – This fruit has a low glycemic index number based on glucose, which measures how fast a food can make your blood sugar levels rise. Carrots – Boiled or fresh carrots are rich in good sugar. Pineapples – It’s better to eat fresh, frozen, or canned pineapples with no added sugars. Prunes – Prunes also have a low glycemic index and they are rich in and potassium. You can read more articles about natural ways to get in shape and how to properly manage your eating habits at Slender.news.